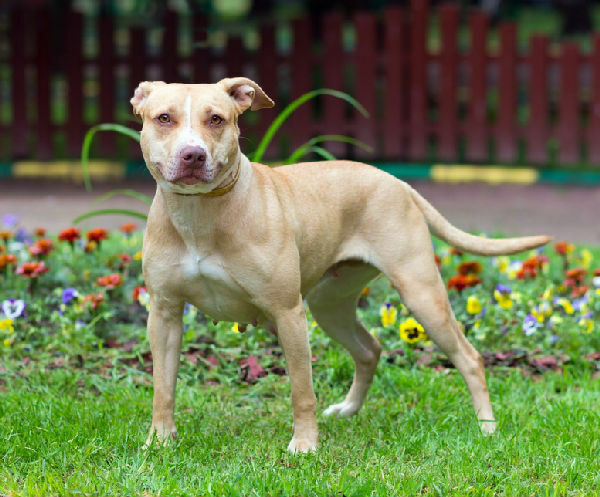 In the United States alone, aggressive dog breeds have been responsible for as many as 35 deaths in people each year. Although statistics on aggressive dog behavior towards other dogs aren't available, the number of aggressive incidents involving dogs is likely to be much higher. A study of dog bite data from 1982 to 2011 indicated that American Pit Bull Terriers, Rottweilers, crosses of these two breeds and Wolf Hybrids were responsible for most injuries and fatalities to humans. The following is a list of the top 9 most aggressive dog breeds with respect to attacks on people, as listed in that study.. There are many sweet natured Pit Bulls out there, but most of them show aggressive dog behavior towards other canines. They were bred to fight, and they still have that instinct to argue with other dogs. This is a serious problem because their powerful jaws can cause a lot of damage. Click here to get the full scoop on Pit Bull Aggression. This breed resulted from the careful breeding of the old style of English Bulldog and the English Mastiff, to produce a large powerful breed that was extremely loyal. These dogs were used to guard English estates and to protect the gamekeepers who managed the grounds. This German dog was originally used as a farm dog, herding livestock and pulling carts. Their instinctive protective and guarding instinct made them a good choice as police dogs and guard dogs. 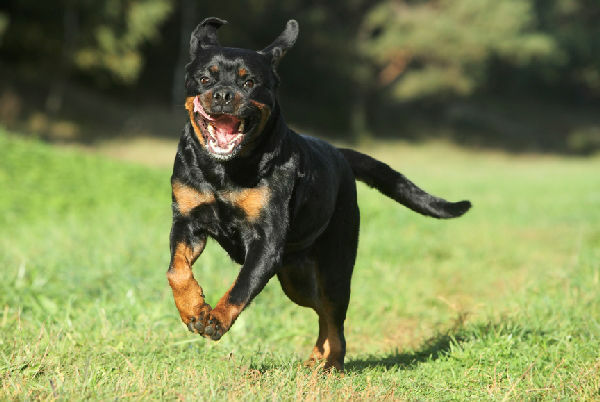 The Rottweiler is responsible for the second highest number of fatalities due to dog mauling, and this coupled with their size and strength, makes it essential that they be trained and socialized, for the safety of all around them. 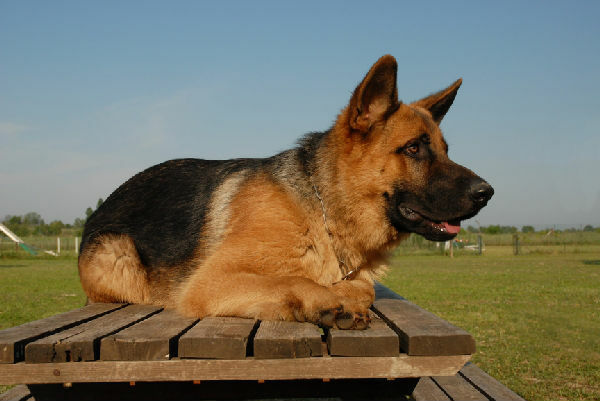 The strong and noble German Shepherd's original purpose was as a herding and guarding dog that worked alongside shepherds. These dogs are considered one of the top aggressive dog breeds because they form a very close bond with their family, and can become a bit too protective of them. They need to be confident that their master can be in control of a situation, otherwise they will take the lead role. Huskies are considered by many to have a temperament close to that of the wild wolf. They are independent thinkers and can be dominant and quite stubborn. They like to be in charge, and show signs of dog aggression to keep others, including their human family, in their place. 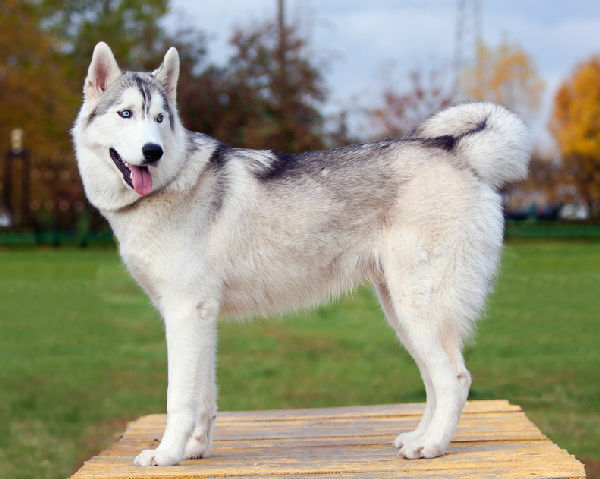 This is a breed for a confident owner who will train and socialize their Husky well. This ancient Chinese breed is extremely protective over their family and their home, and are suspicious of those they don't know. They have been responsible for the deaths of several people which has earned them their place on the list of most aggressive dog breeds. Bred initially as a personal protection dog, today's Doberman retains many of those protective instincts. 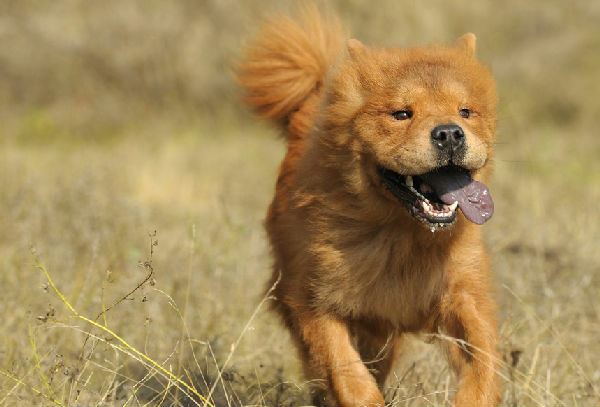 They will often show aggressive dog behavior towards other dogs and people they don't know. However, they are extremely trainable, so their tendency to argue with other dogs can be managed by an experienced owner. 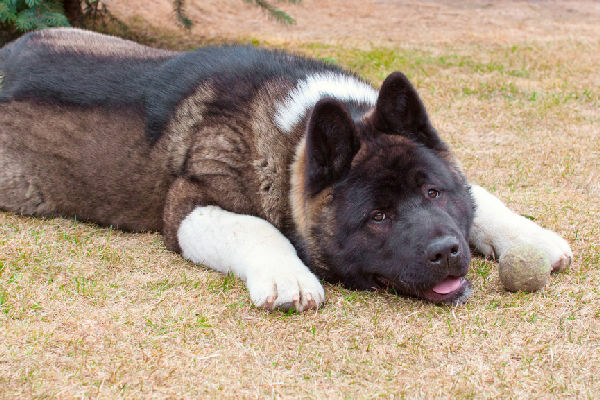 The Akita's ancestors were hunting dogs which were crossed with other types to create a strong and courageous fighting animal. They are very territorial and are reserved with unfamiliar people. They are dominant when interacting with other dogs, and they don't get on with other dogs they haven't met before. 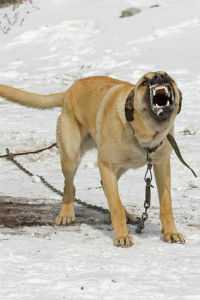 A novice dog owner will have trouble managing their dog aggression. The Wolf Hybrid, or Wolfdog, results from the crossing of a domestic dog with a wolf. The genetic make up of the offspring can be quite random, which means their behavior is unpredictable. Individual animals may have behavioral characteristics that are like those of the wolf, while others behave more like domestic dogs. 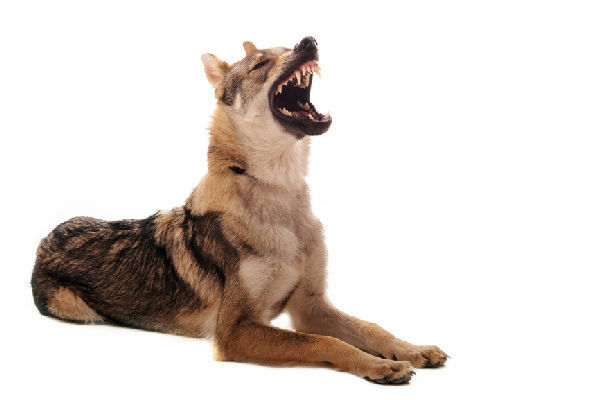 It is thought that the aggressive dog behavior shown by the wolf hybrid is predatory. Certainly this can be backed up by statistics showing that more wolf dog attacks are on small children rather than adults. Anyone who chooses to own one of these aggressive dog breeds needs to train and socialize their dog from the day they bring him home, and continue that training throughout his life. Keep in mind that if a dog shows dog aggression towards other members of his species, it doesn't mean he is a danger to people. However, it does indicate that he is capable of this type of behavior. He should always be supervised around people, particularly young children. 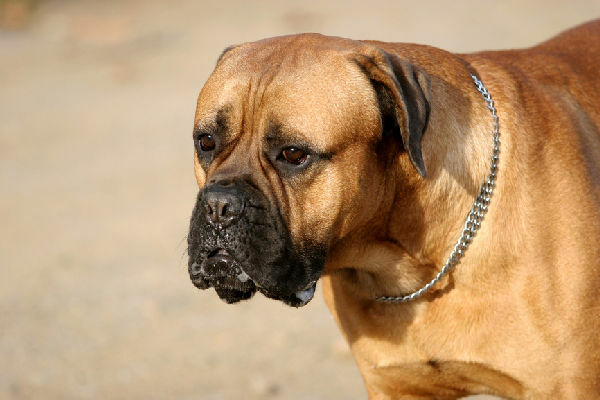 Because responsible breeders choose their stud dogs on temperament as well as physical characteristics, dog aggression tends to occur more often in poorly bred individuals. Unfortunately, poor behavior from a few individuals of a particular breed can taint the public's view of all dogs of that type. 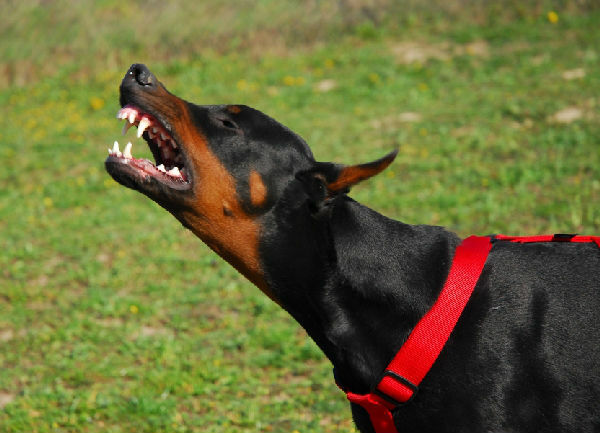 However, any dog is capable of biting, and their upbringing is every bit as important as their breed when it comes to aggressive dog behavior.